Muslims account for a mere 4.6% of population, yet have been spreading fear among the indigenous Buddhists of the region, using violence and brutality. They have resorted to the random killing of Buddhists, including school teachers and Buddhist monks. Muslim separatists have increasingly and openly rallied against the central government of Thailand, accusing it of ethnic-religious bias, discrimination and corruption. A brutal attack on a Buddhist temple in the town of Pattani in 2005 is seen as an attempt by militants to deepen the religious divide between Muslims and Buddhists in Thailand’s deep South. Although separatist violence has occurred for decades in the southern region, the campaign escalated in 2004. Over 4300 lives have been lost since the year 2004 owing to Islamic insurgency. 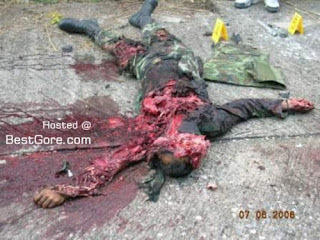 Buddhist monks have been beheaded, children killed and civilians attacked. More than 500 people have been killed in 2004 in three southern Thai provinces. Massive killings occurred throughout the mid to late 2000s and as of 2010, nearly 4,000 people had been killed due to insurgent violence. The death toll has increased to 2,579 by mid-September 2007 and surpassed 3000 in March 2008. By the end of 2010, insurgency-related violence had increased. In the first few weeks of January in 2011 nine Buddhists have been killed in Southern Thailand by Islamic terrorists. 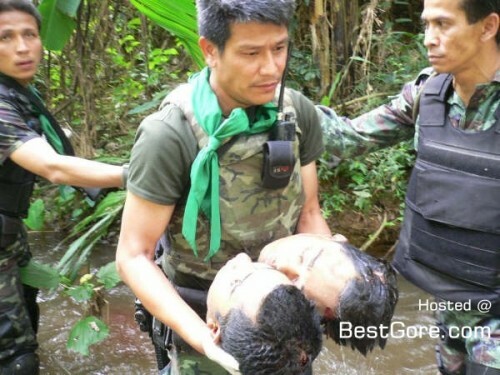 In a separate attack four members of Thai armed forces have been killed. Many Buddhists have left their traditional home in Southern Thailand in order to escape the ongoing Islamic insurgency. Southern Thailand resembles modern day Afghanistan and Somalia because in both these nations the radical Sunni Islamists show their extreme intolerance of other faiths. In addition to Buddhists, moderate Muslims are also being killed by radical Sunni Islamic fanatics of Southern Thailand. 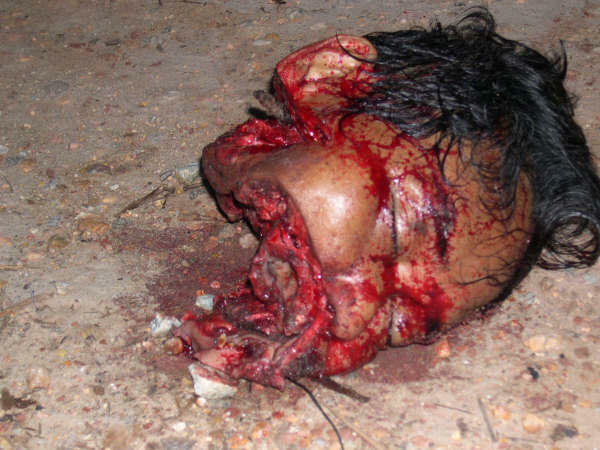 The methodology of killing is intended to spread fear to all who oppose the Islamization of Southern Thailand. .Professor Thitinan Pongsudhirak, a Professor of International Relations at Bangkok’s Chulalongkorn University says “The gruesome fashion of beheadings of Buddhists by Muslim assailants … is not normal violence…” “it is driven by deep animosity and hatred.” Muslim extremists believe that violence, including killing civilians, is justified as a means to restore sharia or Islamic law and maintain Islamic cultural identity. According to the adherents of this brand of Islamist activism, they are engaged in a jihad or a holy struggle against Islam’s enemies, including even fellow Muslims who have abandoned what the extremists view as “true” Islam. In the last decade, there has been evidence that Islamic institutions of foreign Muslim nations have been involved in promoting Islamic radicalization and the doctrine of Islamic Jihad in Thailand. Thai authorities knew for quite some time that many Muslim Thai activists had been to overseas Islamic schools, where they came under influence of hard-line Muslim teachers. Some were reported to have joined the jihad against the Soviet Army in Afghanistan and returned to Thailand as extremists. This brand of Islamist extremism is not a new phenomenon. The basic sentiment of today’s Muslim extremists has flourished in the Islamic world for decades. In recent decades the newfound wealth of the oil-rich Middle Eastern Islamic countries and massive immigration of Muslims to the West, Islamic fundamentalism has been on the rise and the dormant spirit of Jihadism has been rekindled once again. Overall, it is clear that elements within Southern Thailand desire a non-Buddhist land. The younger generation of Muslims are being brainwashed against Buddhists. This hatred and alienation of the younger generation began after many studied at international universities throughout the Middle East. Funding from the Middle East is being used to spread radical Sunni Islamic versions of Islam. Although the hidden war in Southern Thailand by radical Sunni Islamists is being aimed at moderate Muslims and Buddhists alike, the Buddhists it is feared face complete annihilation and one day Southern Thailand may end up like Afghanistan, Central Asia, and other areas which once had thriving Buddhist communities. History reveals vividly how Muslims invaded many former Buddhist countries and subjugated their people subjecting them to extreme forms of violence and untold misery unless people converted to Islam. There have been problems of a varied nature in all countries where Muslims form a minority. Indonesia and Malaysia were Buddhist countries at a certain time in history. With Muslim invasions most of the Buddhists in these places were either killed or converted to Islam. More recently in 2001, in the name of Islam, the Taliban destroyed the world renowned monumental Bamiyan Buddha statues built in the 6th century, citing that these were ‘idols’ which are forbidden under Sharia law in Islam. These actions show disrespect, disregard and sheer indifference towards people of other religions. Such attitudes do not allow any community to assimilate with other communities, especially with mainstream communities in countries where they live as a minority.